The Michigan Parole Board has agreed to conduct a full-but-speedy review of pardon requests from Iraqi nationals threatened with deportation. The board agreed to review nine of nearly 70 requests that have been received since federal immigration authorities began detaining Iraqis with criminal records. Most of the offenses were years ago. The Iraqis seeking pardons were detained because they have some type of criminal records. In most cases, the offenses occurred many years ago. 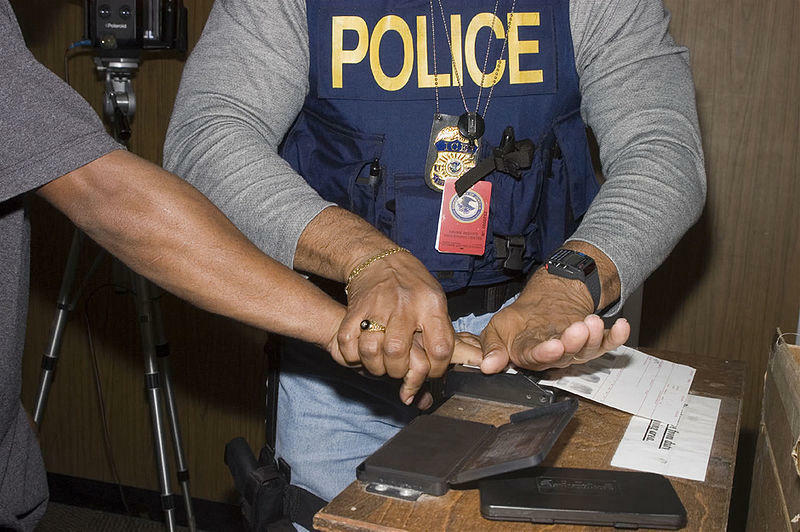 A federal judge temporarily halted the deportations last month. Governor Rick Snyder asked the parole board to move quickly after a federal judge delayed deportations. Ari Adler is the governor’s communications director. “We felt it was a logical step to at least have an investigation done by the parole board, as we would with other requests that come in, and now we are waiting to see what the result is going to be,” Adler said. Many Iraqi Christians, in particular, say they face persecution, torture, even murder if they’re returned. Ann Arbor resident and Immigration and Customs Enforcement detainee Jose Luis Sanchez-Ronquillo is hoping to be released while the Board of Immigration Appeals considers whether to reopen his immigration case. Supporters and family members of Sanchez-Ronquillo rallied outside of the ICE field office in Detroit on Tuesday as his attorney submitted a request for his release. The woman's husband is among the more than 100 Iraqi nationals living in Michigan who were arrested by Immigrations and Customs agents in June. Friday, she sat in the back row of federal district judge Mark Goldsmith's courtroom, listening as the government argued her husband and the others they detained should face immediate deportation, and the ACLU argued that amounts to a death sentence for many -- and is against both U.S. and international law. She withheld her name, for fear of retaliation in her husband's case, but agreed to tell his story. Stateside's conversation with Martin Manna, president of the Chaldean Community Foundation. It was a traumatic, emotional weekend for the Chaldean community of Metro Detroit. Chaldeans are a Christian minority from the Middle East, mostly from Iraq, and many live in Southeast Michigan.